Today, Tyne & Jon did something that father & son have been doing together for generations - they built their very own little fort in the living room! When I heard that there was a competition running in association with The Furniture Market to win your choice of tickets to top UK attractions or £100 Love2Shop vouchers if you could build Britain's Best Blanket Fort I knew Jon would want to join in....I wasn't wrong! Jon did a quick scan of the room and decided that Tyne's beloved Jumperoo would make the best base for the fort, as it has a nice round base for Tyne to hide in and 3 poles around it which could be used to hold the blankets in place! Tyne seemed a little bemused by the whole thing, but nonetheless he was happy to camp out inside his new blanket fort for a while! Fancy having a go at building your own blanket fort? All you need is a few blankets, some clothes pegs and a little imagination! 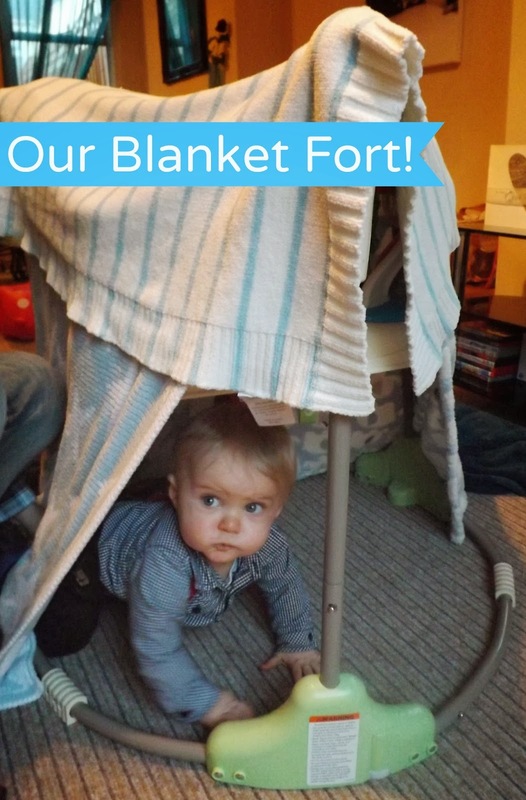 To enter the competition, just build a fort and snap a photo! Then post the picture to Twitter using #Blanketfortcomp and sending it to @MarketFurniture! Easy peasy and such good fun for these rainy days!